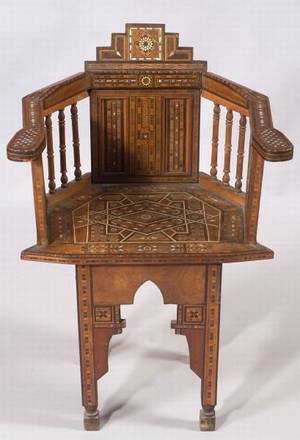 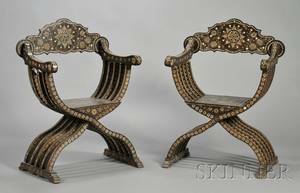 Cloisonne; thirteen pieces, 19th/20th c.
Syrian Mother-of-Pearl and Bone Inlaid Hardwood Armchair, 19th century, depicting geometric motifs, with U-shaped frame. 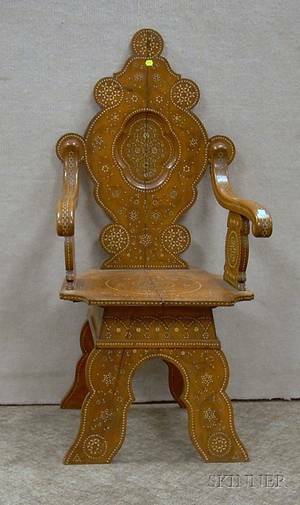 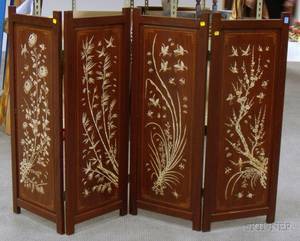 Near Eastern Bone Inlaid Hardwood Armchair. 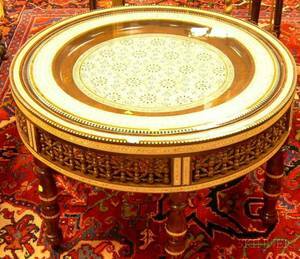 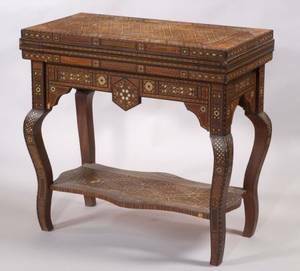 Moorish Mother-of-pearl and Bone Inlaid Hardwood Low Table. 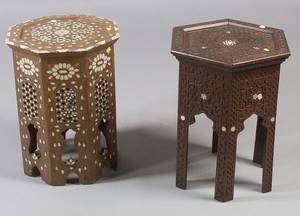 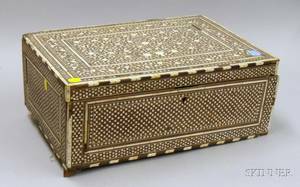 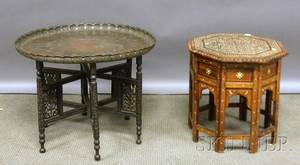 Indian Copper Tray-top Carved Hardwood Low Table and a Near Eastern Octagonal Bone Inlaid Hardwood Tabouret.